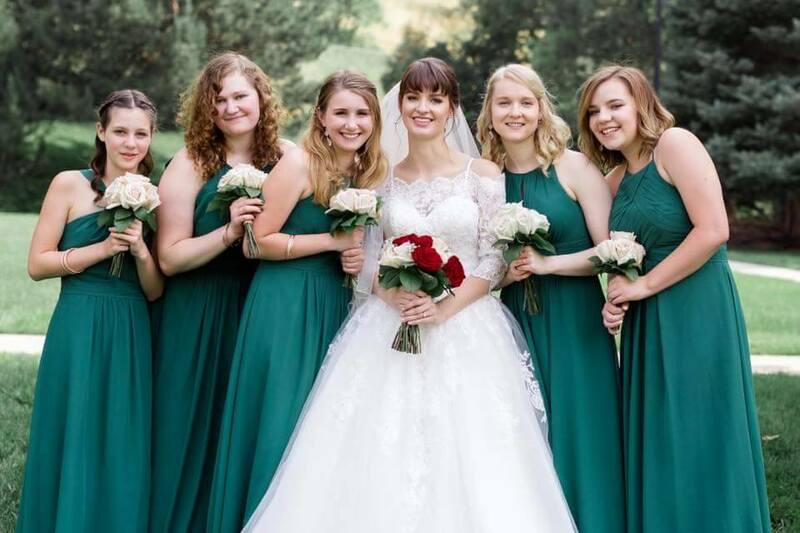 After spending months planning my daughter’s wedding, I have learned a lot along the way about saving money on a wedding and staying within a budget. Today I share 10 smart ways we saved thousands of dollars on the wedding. Keeping your guest list small may be one of the most challenging things you can do, but the majority of wedding expenses hinge on the guest list number. The guest list can snowball in a New York minute. Inviting one cousin on one side of the family means you have to invite the other cousins on the other side. The more guests you have at the wedding then the more food you will have to buy, more invitations, more envelopes, more stamps, more chairs to rent, etc. It is surely not easy to limit who you are going to invite when you really just want to invite everybody, but it is the easiest way to cut expenses. Consider organizations which rent wedding dresses out, wearing a mother’s or grandmother’s dress, or look on Craigslist. There is a Christian organization here in town which takes donated wedding dresses and rents them out for about $200. Madison found a dress there she liked, but I could tell she didn’t love it. My friend, Grace, knew what kind of dress my daughter wanted and found one on Craigslist that fit the bill. We went to see it, and Madison’s face glowed when she tried it on. It was brand new, and the gal we bought it from had bought it for her own wedding which didn’t work out. I ended up talking her down and got a $1100 dress with tags for $400. 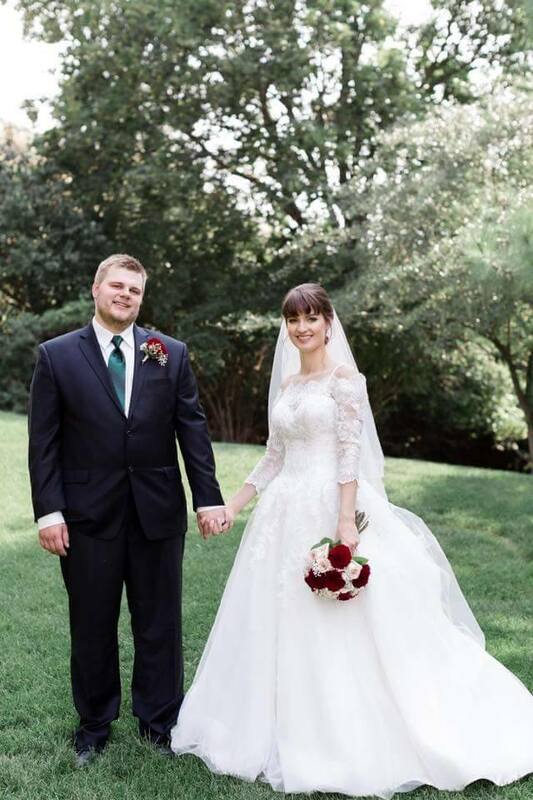 After alterations, we paid $750 total for her wedding dress which is much less than a brand new dress. Formal invitations can be quite pricey. We found a design on Etsy that we really liked and made sure to check the reviews to ensure legitimacy and quality. We paid about $8 per design for the Save the Dates, Wedding invite, and Details insert. We then took the digital files to Staples and had them print and cut them out. When all was said and done, we spent around $200 on the invitations and envelopes. We also got lots of compliments on them as well. Do you have a family friend who owns a nice restaurant where you could host part of your event? Do you work somewhere where you can get a discount? Do you have a friend who has a hidden talent? My hairdresser blessed me by doing my hair for free. 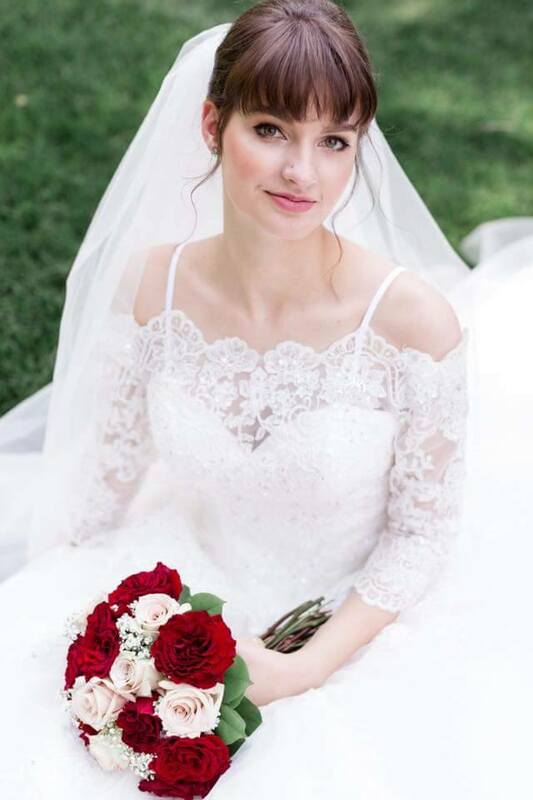 I had a friend who was willing to do my makeup on the wedding day. I had a friend set up the cake rather than paying the delivery charge. Another friend helped me clean up the church, one helped me clean my house for company, one printed a stencil so I could make a wedding sign, our neighbors gave us free pallets for a pallet wall we built, etc. I have a really hard time asking for help, but when dear friends told me they were happy to help, I swallowed my pride and asked. I saved money by not sending a RSVP card out with the invites, but instead used an Evite link to keep track of RSVP’s. A RSVP card would have cost more to design and print not to mention the cost of envelopes as well as stamps. Evite is a free site which I use for every event I ever do at work, and it is a great way to track your attendees for free. A word of caution. Double, triple and quadruple check your Evite code before printing out your invites. Upper and lower case letters do matter. If you make an error, no one will be able to RSVP via the site so make sure it is right. An actual wedding cake would have cost us more than $500. We saw some couples were doing donut walls so we thought that was not only a fun idea but a yummy one as well. 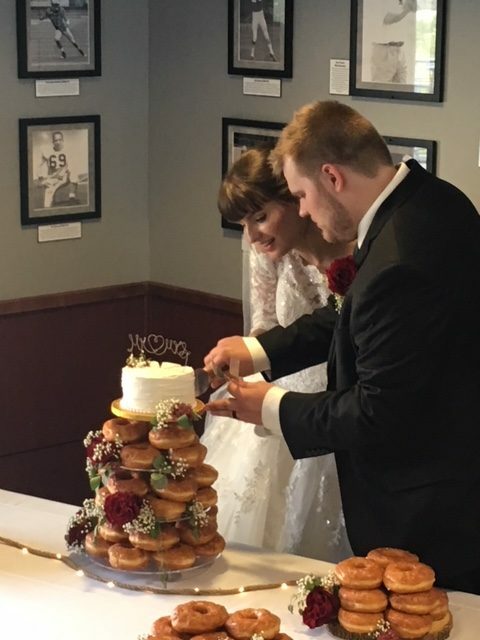 We bought a small cake for the bride and groom to cut and bought donuts instead of cake which we stacked on tree rings on the table. We had the florist add flowers around the donuts, and I made a sign which said “holy matrimony” to put on the donut table. It would have cost us $40 to rent the tiered cake stand, but I bought one on Amazon for $19. Madison found a wire cake topper idea on Pinterest which said, “Mr (heart shape) Mrs”, and made one herself out of wire we had in the garage. She then used rose gold paint to make it match the decor. My friend, Shannan, picked up the cake and delivered it for me. When all was said and done, we paid less than $200 for the cake and donuts. Not too bad! I was totally shocked at the cost of photography. I guess I was in a time warp. I was glad my friend, Shannan, gave me a wake up call of what I should expect. I did finally find a photographer which was highly recommended, but I negotiated less hours and no engagement photos in order to drop the price. I was able to get $700 shaved off doing that. In what I believe was truly a blessing from God, the photographer actually sent me an invoice for just a little less than we had discussed but included the engagement photos in the package as well. I emailed her to let her know of her mistake so she could correct it. She said it was their error, and they would honor the engagement photo session as well for no extra cost. I did save hundreds of dollars by negotiating, but this was an area my husband and I both agreed we were not willing to skimp on. You only get one chance to get the wedding photos done so choose a good one and negotiate it down if you can. My biggest expense at the wedding was the food. Other weddings might have their biggest expense be the venue or the videographer. Whatever your biggest expense is then think of a way you could possibly get it for cheaper. 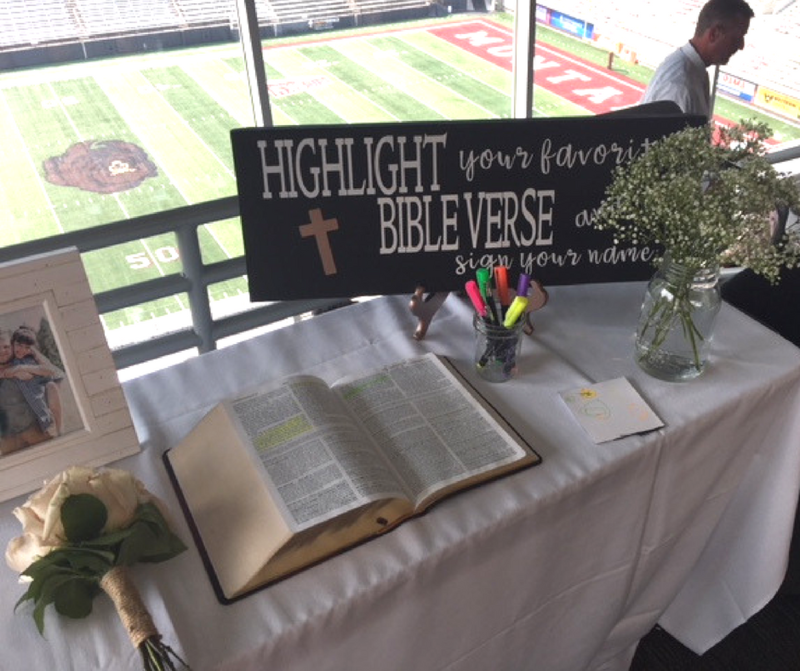 For example, we changed from an evening wedding where a sit down dinner might be expected to an afternoon wedding where we served heavy appetizers. My husband and I paid a videographer to video tape our own wedding 24 years ago, but the video Carl’s uncle took during our wedding is actually our favorite one to watch. Do you have a nice camera you can set up on a tripod to record the wedding yourself? Do you have a friend who would enjoy doing the video job, and you could give him a gift card to his favorite golf course? Think outside the box as to how you can save some real cash on your biggest expense. Pinterest really was our best friend when we were wedding planning. My daughter and I would pin separately, and then come together to determine what ideas we really liked. We saw ideas and did a lot of things ourselves. My daughter made the wedding topper herself. My husband made their ring holder. 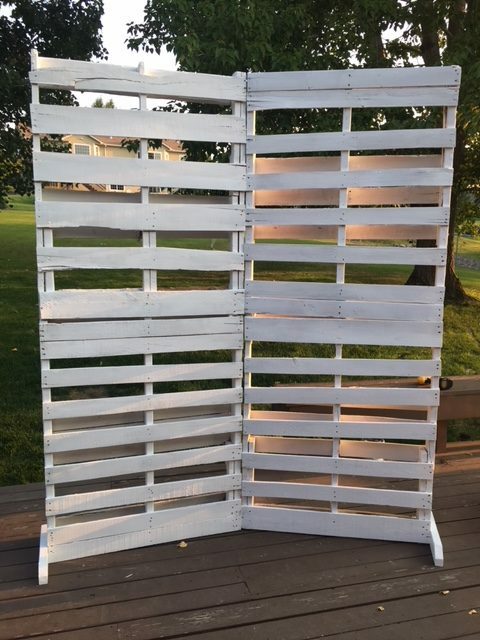 We made a pallet wall, wedding signage, wedding videos using PowerPoint, and used Spotify to download wedding playlists. As I have said for a long time, time is money. You invest a little of your time then you can save a lot of money. 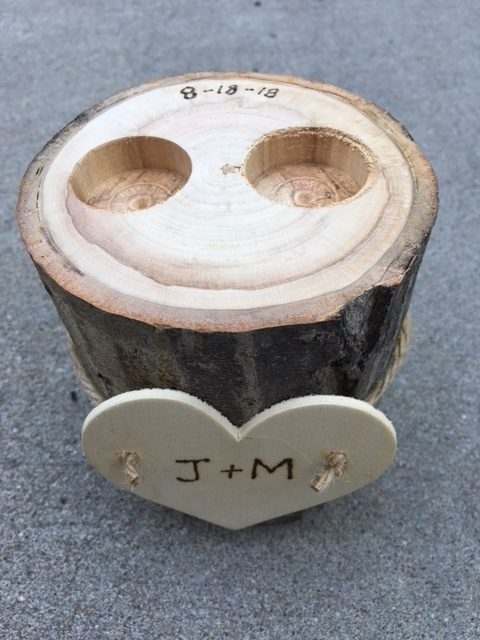 It is easy to get caught up in buying one more cute decoration for each table or adding on wedding favors which the guests really don’t want or will just throw away a year from now anyway. We just kept reminding ourselves the whole time, “The important thing is they are getting married.” It is easy to be swayed by keeping up with the Joneses. You can keep adding and adding to a wedding, but it is not really necessary. In fact, in one study I read, it showed the more you spend on a wedding the less successful your marriage will be. I spent a huge amount of money on my daughter’s wedding in my book, but not even close to what the American average is for a wedding. 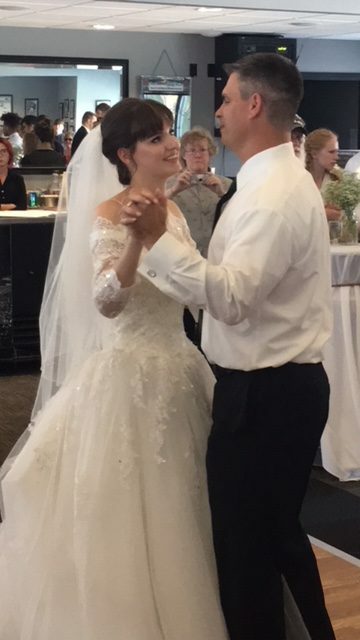 In the end, we had a beautiful wedding which honored God, the couple and our guests, and we did it all without any debt. I call that a huge success. 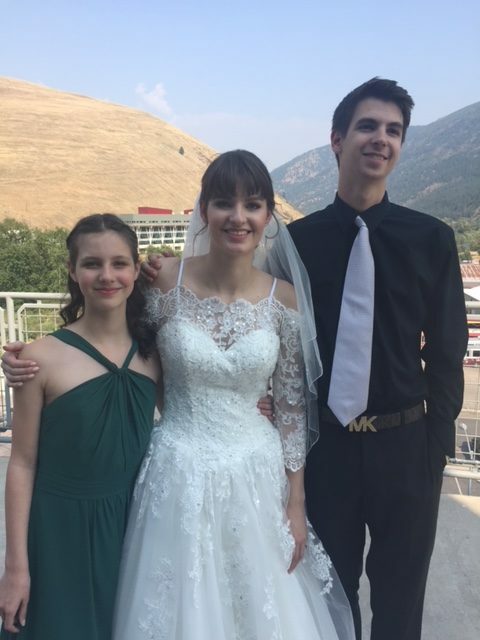 The wedding was wonderful! I loved Madison’s dress! What a beautiful bride! 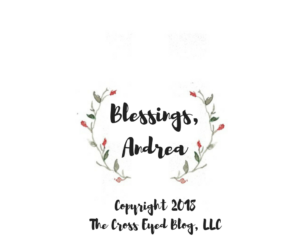 Thank you for sharing your tips Andrea. We loved sharing this beautiful day with your family! Love you all! Thank you, Marianna! 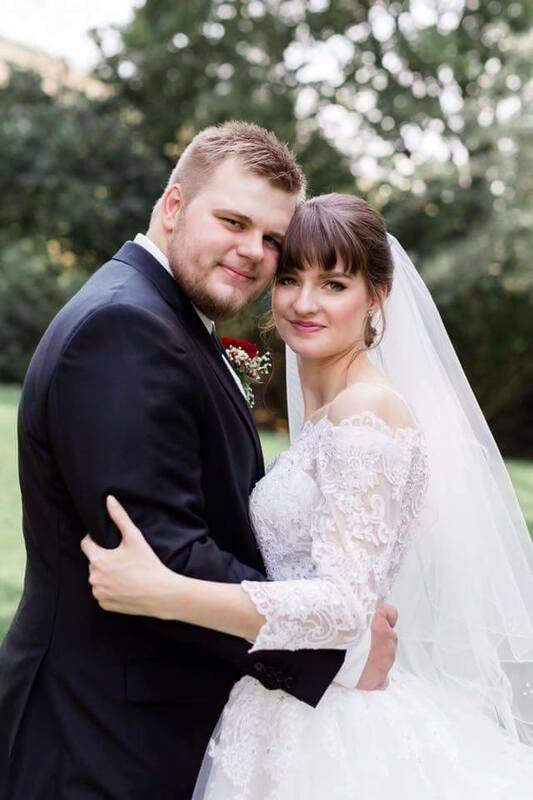 We felt so loved and blessed that you made the trek over to the wedding to celebrate their special day. Love you!